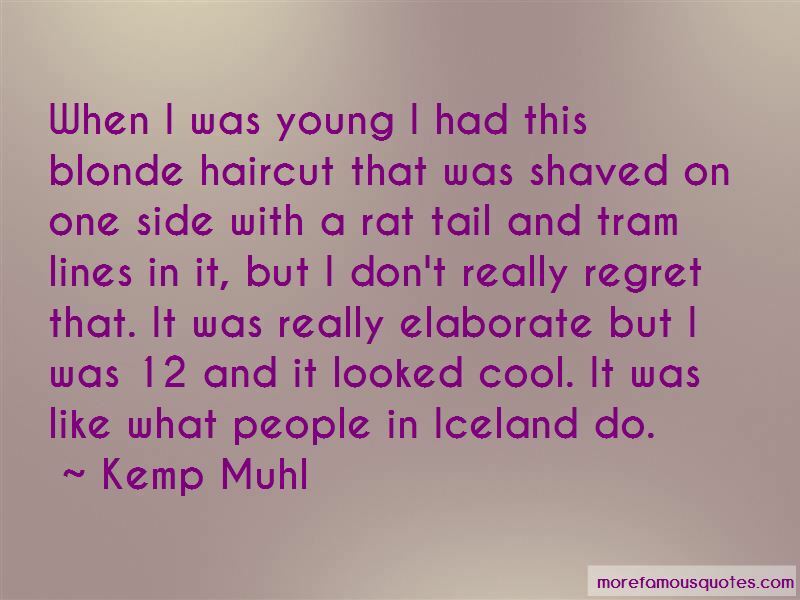 Enjoy reading and share 13 famous quotes about Rat Tail with everyone. “All right, see," Wayne said, "I've got it figured out. I'm gonna be a rich fellow. Made loads off of the sweat and blood o' lesser men. Only I won't say it like that, 'cuz I'll be in character, you see." "Is that so?" Marasi said, starting up the steps. "Yup," Wayne said, joining her. "Even brought me fancy hat." He held up a top hat and spun it on his finger. "That hat belongs to Waxillium." "No it don't," Wayne said, putting it on. 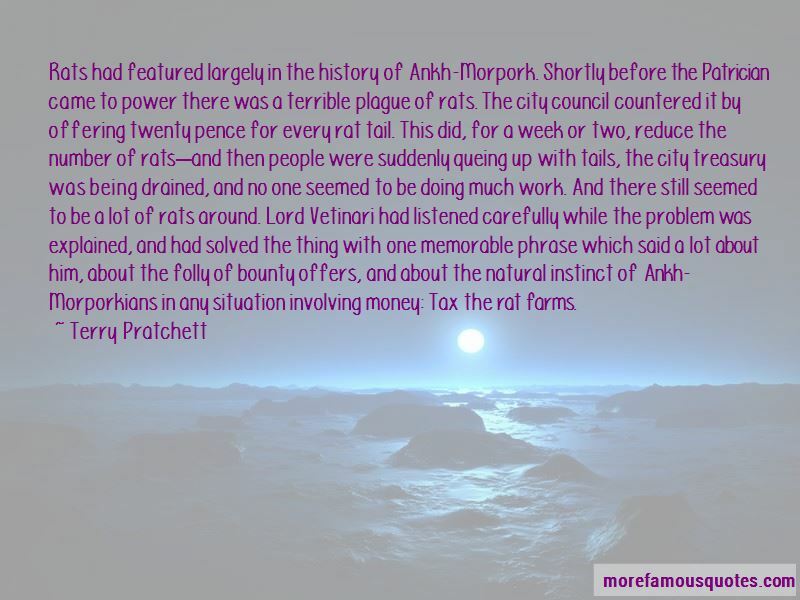 "I gave 'im a rat for it." 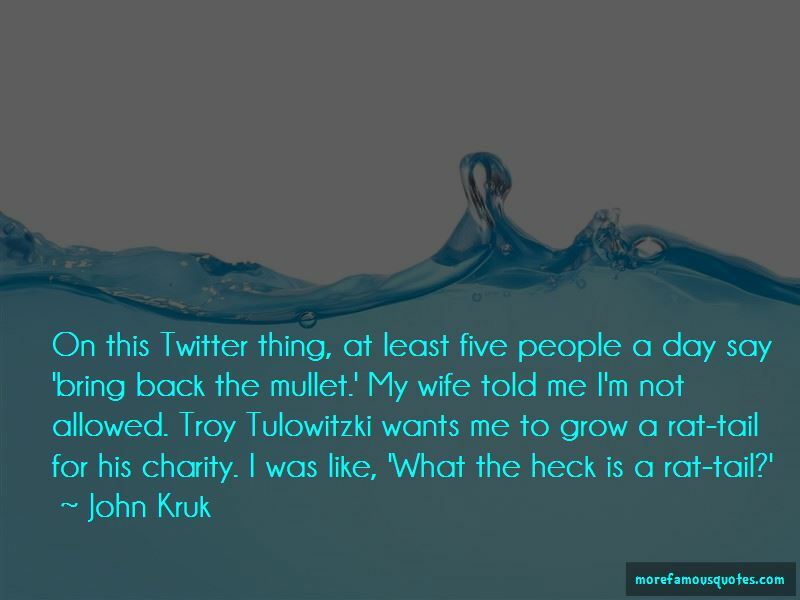 Want to see more pictures of Rat Tail quotes? 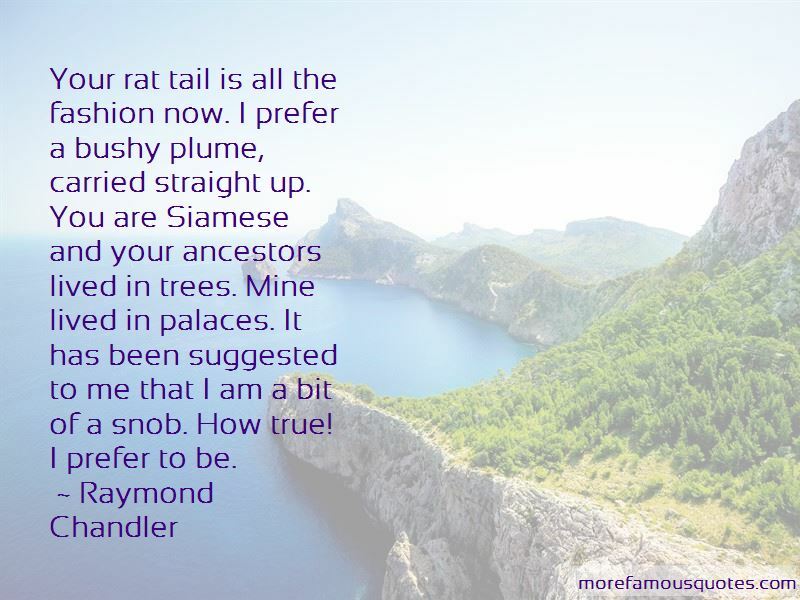 Click on image of Rat Tail quotes to view full size.